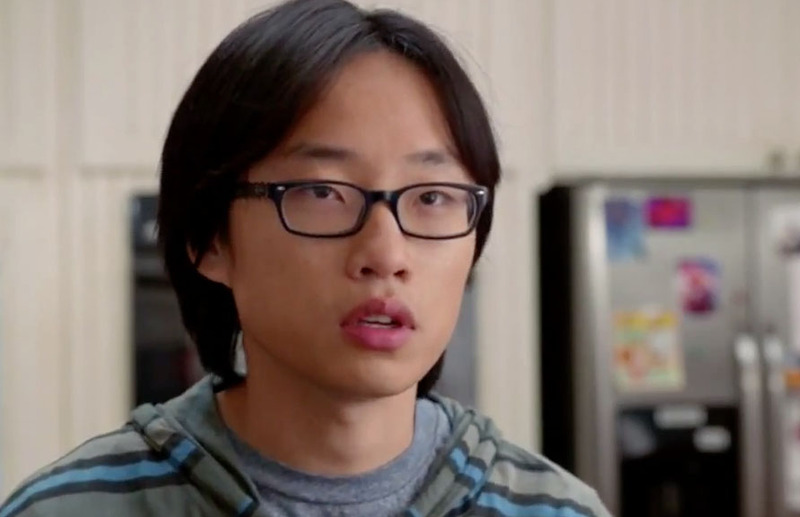 Recently, I had blogged about HBO’s Silicon Valley portrayal of Asian stereotypes, specifically about how I was not a fan of the character Jian-Yang. I don’t think it’s too much to ask to have a broad range of Asian American men to be portrayed – just like Caucasian men. I live in this district! (actually, although true, that’s not in the article). The article also talks about the current representative, Mike Honda, who beat another Asian American Ro Khanna in the last district election but might be vulnerable in the next election after an ethics report was made public in September. You can see more details about the district in the article. While mobile health units are used in impoverished places like the slums of Mumbai to deliver health care to Asians there, they are also used to deliver health care to Asians in not so impoverished places – the companies of Silicon Valley. This article from Fortune points out that working in Silicon Valley can be bad for workers’ health as being poor can be in other places. Author Jeffrey O’Brien also stresses that while the Silicon Valley work lifestyle can be bad for everyone, it seems to be worse for Asian Americans, particularly if those Asian Americans are of South Asian descent. Exaggeration? Not to me, as many of the problems described have affected me as a Silicon Valley worker. Few Asian American Basketball Players at the NCAA D1 Level – Does it Really Matter? Author JeffPosted on May 15, 2014 May 12, 2014 Categories Discrimination, Education, SportsTags basketball, Colorlines, Division I, NCAA, professionalization of youth sports, Silicon Valley, WCAL1 Comment on Few Asian American Basketball Players at the NCAA D1 Level – Does it Really Matter? “Do any white kids go there? It turns out that Mission San Jose, a majority Asian high school in Fremont, California, made it on a list of the top 25 US high schools by SAT and ACT scores. Nine high schools with large Asian American student populations, some of which we have talked about, are in that top 25. The number one high school for standardized tests is Thomas Jefferson High School for Science and Technology in Virginia, which has an Asian American plurality. A number of these schools are in Silicon Valley, such as the Harker School (#2), Lynbrook, (#7), Henry M. Gunn (#12), Monta Vista (#15), Mission San Jose (#18), and Leland (#20). Some of these like Monte Vista, Lynbrook, and Mission San Jose have Asian American majorities, while the others have very large Asian American student populations. Stuyvesant (#4) in New York and the Illinois Math and Science Academy (#11) both have Asian American majorities. 8asians has talked about Mission San Jose and Cupertino (where Monta Vista is) schools on a number of occasions. Does performance on standardized tests mean that those schools are doing a good job? – Conversation overhead by a teacher in Cupertino. Stanford sociologist Tomás Jiménez has been studying immigrants and the communities they live in, and he recently published what he found in Cupertino – the home of Apple Computer, good schools, and Asian American students that scare white families out of that city. Rather than doing studies of immigrant assimilation, he decided to study the opposite – how immigrants affect the attitudes of the community that they move into. One of the findings in Cupertino was this: that rather than being the standard of high achievement, white has become “just alright”, associated with mediocrity. You won’t be able to tell from Bravo’s Silicon Valley show, but Asian Americans now make up the majority of Tech workers in Silicon Valley and the San Francisco Bay Area. 2010 Census data reveals that the Asian American share gain of 11.4% from 2000 came mostly at the expense of white workers, whose share dropped 10.2%. Hispanic and African American share of tech workers also dropped. Not sure if these increases will change either the percentages of Asians in Management or people’s perceptions of who management should be. When Bravo put out a preview of their upcoming series, Start-Ups: Silicon Valley, one comment about it on Gizmodo said that Asians apparently don’t exist in the Hollywood version of Silicon Valley. As a Silicon Valley resident who watched the preview, I was left thinking “whitewashed!” But after more thought, I realized that in a sad way, the show actually did portray a certain harsh reality. When Vivek Wadhwa founded a tech company, he was advised by fellow Indian Americans to have a white “front man” to pitch company to venture capitalists. Moving to academia in an attempt to slow down from the hectic tech business world, one of his studies found that in 2005, 52.4% of Silicon Valley startups were founded by immigrants from all over the world. Is Silicon Valley a place of pure meritocracy, where people from anywhere can make it big? Before moving there, he thought so, but after attending some local events he changed his mind. When he pointed out issues with race and gender in Silicon Valley, he was shocked at the backlash. When you hear news about “College Admissions Consultants,” it’s often sensationalized and over the top. Take this article about a consultant who will guarantee a kid’s college acceptance or your money back or this article about Michele Hernandez, who is said to charge as much as $40,000. We did hire a “college planning consultant,” but not for an insanely large amount like $40,000 and not for the reason you might expect that an Asian American parent in Silicon Valley would have. College admissions officers have been criticized about things like caps on Asians Americans and decisions about who gets in and who does not. But what do they really think? The Daughter’s high school held a session where a college admissions officer talked about admissions from the his perspective and gave us parents a chance to ask him questions. This segment presents a view of the admissions game from the other side. The admissions officer, the Dean of Admissions from a small San Francisco Bay Area private university, talked about trends, tricks, and test scores in today’s world of college admissions.